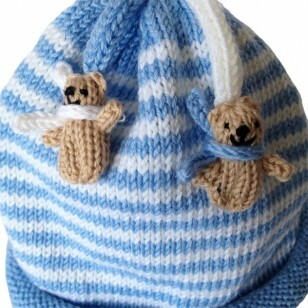 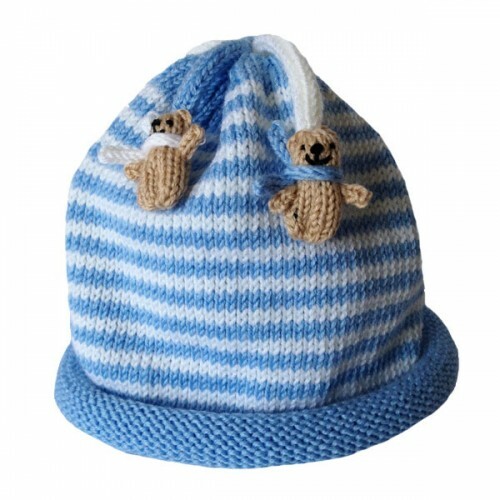 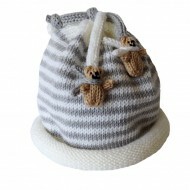 Beautiful hand knitted stripe hat in pure wool, with teddy bear securely attached. 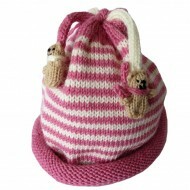 As featured in Vogue! The hat brim can be folded up for younger children. Perfect as a gift for a new baby. 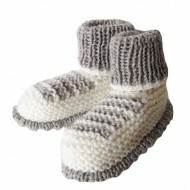 Matching socks and mittens available, also available in a beautful set!